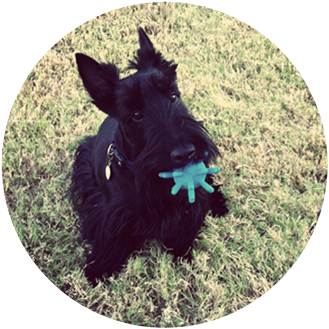 Brister Family Terriers has been breeding some of the finest and most lovable Scottish Terriers in the Lone Star State! We not only breed our dogs with strict standards, but we nurture and love them, raising them alongside our own family. Of course its our family that makes our dogs such wonderful companions and show quality dogs. Check out all our Terriers for Sale in Granbury TX We’re different from the larger, professional kennels out there. We’re a small, family-owned and operated breeder that raises our beautiful dogs out of love and enjoyment. If you’re looking for an alert, protective and hardy Scottish Terrier, you can rest assured that our dogs aren’t only beautiful, but friendly and well behaved as well. The Brister family home is the perfect place to raise puppies. Dr. David Brister is not only a dog lover, but he also serves as the R n R Kennels in-house veterinarian. He brings years of professional experience to our puppies, which ensures that they are in premium health and receiving the absolute best care from birth to adulthood. Beyond this convenient medical attention, all of our dogs are raised alongside our sons, who give the pups and parents alike lots of love and play time. From their earliest days, our puppies are socialized and exercised through a bunch of good, old fashioned fun since they play and run with our energetic boys every day. Many larger breeders aren’t able to ensure that all of their dogs receive the loving attention that we give our dogs every day. Some pups may go days without any direct human contact, which often leaves them skittish, or nervous around people. Though dogs are highly adaptive in many situations, it could be some time before a dog raised in this fashion, will come out of its shell and reach its full potential as a loving and loyal companion. Our Scottish terriers come ready to accept and give love! Also, since we are able to save on veterinary bills by having one of our own available 24/7 for the care of our puppies and parents, we’re able to pass this financial consideration on to you by not offering our Scottish Terriers or any of our other pups at inflated prices. If you are interested in our Scottish Terriers for sale in Texas, we can guarantee you a fun, loving, and healthy dog that you will be pleased to have as a life-long companion.